The 40 days of fasting is from January 12 through February 20th. Each day we will begin the fast at midnight and break it at 6pm. The fast can be either “dry fast” or “liquid fast”. Please obey your doctor’s advice. I have made a commitment to God to “pray more than I preach” and I am expecting God to do great things in your life. I believe your testimony is not only your deliverance but it is also your weapon against the enemy. I look forward to hearing all the praise report as I know we serve a prayer answering God. 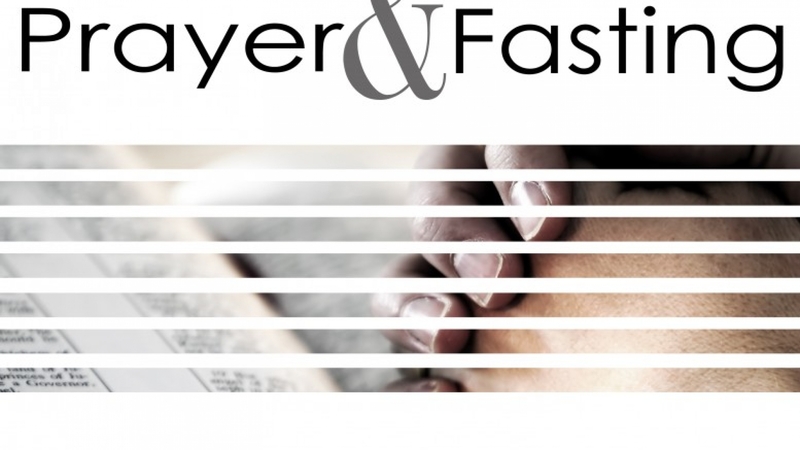 I am grateful to God to have completed a 40-day fast, along with many “Full Fast”, “Daniel’s” and “liquid-only” fasts, and I want to share with you some basic steps to successfully Fasting and Praying . Regardless of what fast you decide upon, that’s between you and the Lord. However, I pray that our Lord’s most wonderful love and blessings will be poured out on you as you take this exciting step of faith.